The long-running feud between 2Face Idibia and Blackface is not going away soon.Blackface in a new interview gave conditions that can bring an end to this saga with 2face Idibia. 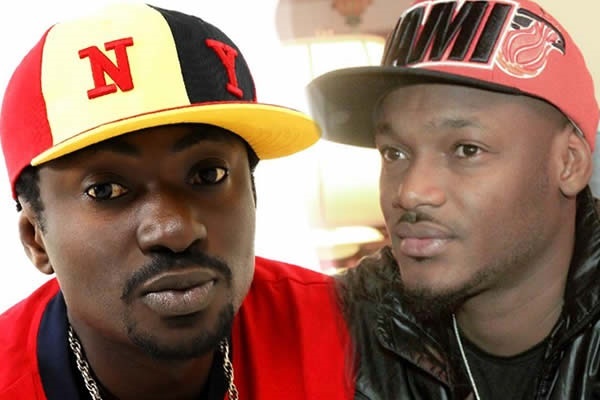 The long-running feud between 2Face Idibia and Blackface is not going away soon. Blackface in a new interview gave conditions that can bring an end to this saga with 2face Idibia. ''They should also ask what is 2face after too? What is his game plan? What is his plan with Efe Omorogbe his manager, or do you think they don't have any plan? I have given them my conditions. See 'Let Somebody Love You' is my song, I told them my conditions that the manager must take his name out.'' He explained. 2Face’s 2014 single 'Let Somebody Love You' which features American singer, Bridget Kelly credits Efe Omorogbe(2face’s manager), as a co-composer, a situation that has made Blackface allege that it is a plot to reduce his percentage from the song's royalties. On Monday, March 18, 2019, Blackface released his new single, 'War', which was a diss song targeted at his former friend and bandmate, 2face Idibia. In the song, Blackface restated the age-long allegations of copyright theft by 2face and his manager, Efe Omorogbe as well as damning claims suggesting that 2face was gay. A claim he explains is just a ‘yab’ and does not mean anything.